Few things leave a worse first impression for your company than having a client fill out a form that looks like it has been photo copied 8 million times. Put your best foot forward by having Media Factory print your business paperwork for you. We specialize in forms for the healthcare industry, but we also print purchase orders, invoices, service order slips, and delivery receipts. 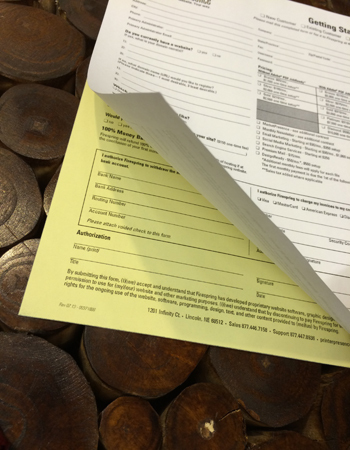 Take your business to the next level by printing professional, customized forms that your clients will want to fill out!